Raise your hand if you love gingerbread stories! There are so many versions of the story that lend themselves to some great literacy activities. Comparing and contrasting, sequencing, problem/solution and more! And they’re fun. And our kids love the gingerbread man stories. But the gingerbread man can be so much more than literacy! 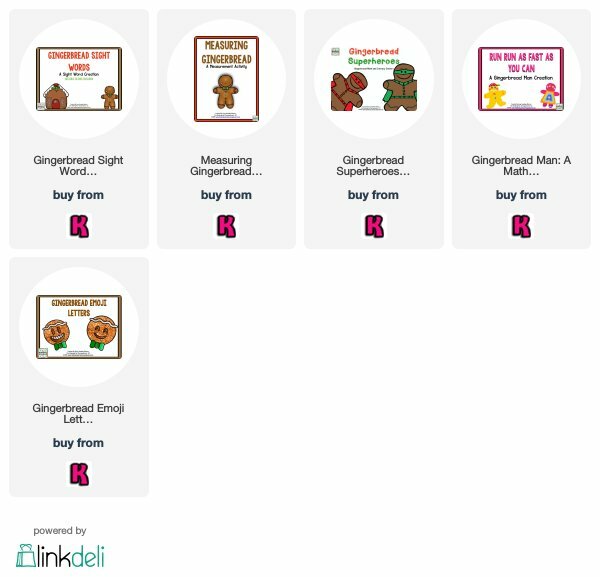 Check out these fun gingerbread activities for your classroom! Why not practice subtraction by baking and eating gingerbread cookies? The students use these fun ninjabread man cookies to write and solve their own story problems. First, we made a cookie sheet by gluing aluminum foil onto the construction paper. Then we added our cookies. Next, we ate the cookies by placing an X through the ones we ate. Then we solved the equation and presented it to the class! The ninjabread men are from Jen Hart Design! After reading various versions of the gingerbread books, we write our own version of the story where we get to become the gingerbread man. First, we brainstorm all the different things we would run from if we were the gingerbread man! Finally, we publish our writing by turning it into a gingerbread person. Our writing is the body and we add a head, legs and arms to make a gingerbread man! This is always a fun art project to do. You need construction paper and wax paper! First, make a gingerbread cookie. Next, make an oven. Finally, put the gingerbread cookie in the oven! And of course, you make gingerbread cookies! This creation is designed to accompany different versions of gingerbread stories and is an all-inclusive resource. The activities in this reading resource allow students to build literacy and comprehension skills. Terrific ideas! I’m a certified FACS teacher for grades 6-12 with a M. Ed. 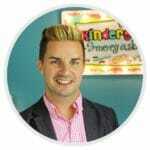 Elem Ed w/ ECE so I’m always interested in how I can tweak some great classroom ideas for either age level. Have you ever done a gingerbread cookie as a smell/sensory art activity by putting liquid glue in the belly area of the G-man and sprinkling allspice or ground ginger onto the wet glue? They have to dry overnight but they are such a hit to have in/above the cubbies to give off their wonderful aroma. I have never done that but what a great idea!